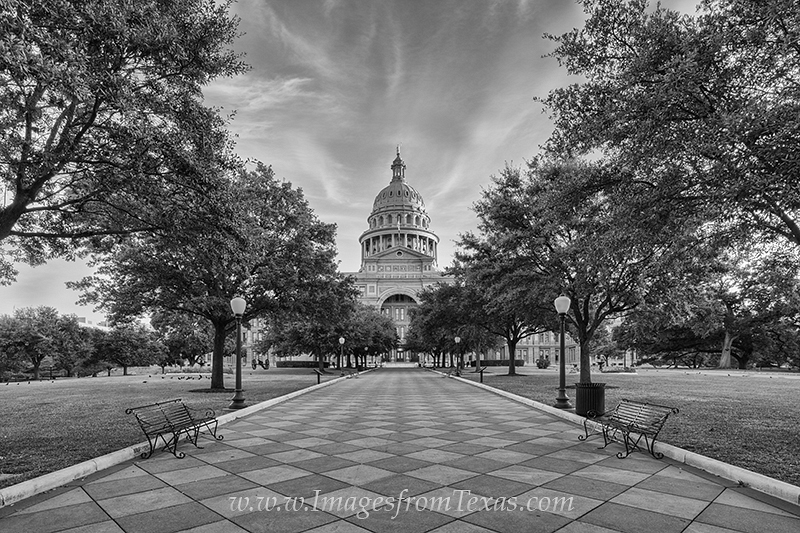 This black and white image shows the Texas State Capitol looking north along the Great Walk. Taken just before sunrise, this photo attempts to capture the beauty and serenity of a perfect morning in Austin, Texas. Photo © copyright by Rob Greebon.